A social media account with a large number of followers is always a must for every professional business. But growing a social media profile takes lots of effort and a lot of time so you better start growing your account now! In this article we are talking about FollowLiker, a cheap, fast and efficient way to grow your Twitter (similar to Rewst for Twitter or FPTraffic for Facebook), Instagram, Pinterest or Tumblr accounts. We’ll show everything you need to know in this FollowLiker Review! Once you start using Follow liker in your account, you’ll start growing your follower base right away. This picture shows the notifications on my phone, which is full of notifications about new followers, likes and comments in my accounts every minute or even seconds! Keep reading this FollowLiker Review to learn how to install this amazing tool right away to start getting followers on Instagram, Twitter, Pinterest or even Tumblr! By the way, if what you are looking for is growing your fan base on Facebook, you’ll find very useful our guide about how to increase followers on Facebook. For businesses and professional Facebook accounts, this is by far the best way to do it. But this time we are going to focus mainly on the Instagram Edition. Follow Liker is a software that allows you to automate social media tasks in order to increase engagement and grow your follower base. Followliker is for any user that needs to grow social media accounts efficiently and faster than the standard way. Don’t misunderstood this, Followliker is not a software that gets you tons of followers all at the same time in your account, it doesn’t work that way. With FollowLiker you get real followers little by little continuously by automating tasks that make your account active 24/7 (or you can actually set a customized schedule for each account). That means you get a few amount of followers daily and it is up to you to improve your content to increase the followers you get per day. 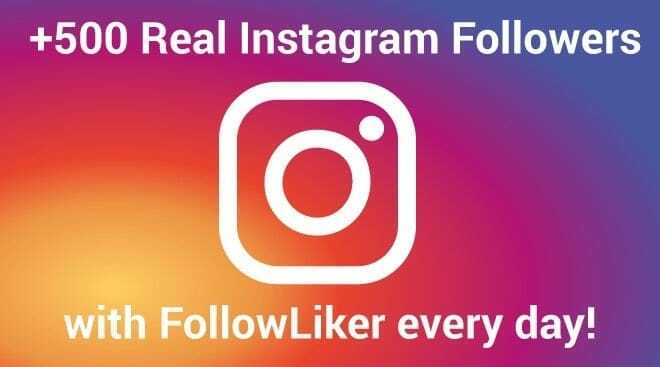 In other words, Followliker makes your account act as if you were liking, commenting and following people between many other tasks, to make it look real and natural to the eyes of others. This way, your account is always active and engaging with hundreds of users daily. Is matter of time and consistency that an active account with great content becomes popular. Whether you want to promote yourself as a public figure, sell products or engage with your clients, the main goal is to own a huge follower base that actually engages with your content. You need quantity but mostly quality, and this is how Followliker helps you to grow your account. It maintains your account active while you create great content to share. Visit Followliker to know more about its features. Save Time by automating all kind of social media tasks that little by little make a huge change in your account activity and the way people engage with your content. Save Money by managing your accounts without other services and people involved. And always remember: TIME IS MONEY. Grow Follower Base naturally and constantly the fastest way. Follow Liker boosts your account growth in a natural and safe way if you use it correctly. Increase Account Activity to achieve many business goals: Get free targeted traffic to boost conversions. Followliker helps you to get followers that really care about your content. That why, when you publish something, your audience will be interested and you’ll notice way more engagement. Get Free Traffic of your own followers. Don’t forget that the quality of your content improves your account activity. The more quality the more followers, and the more followers the more free targeted traffic. Tracking Results & Stats is easy and fast inside the Followliker dashboard. See all social media tasks done and daily results at a glance. Valuable information like this will lead you to smarter decisions. $500 per day with Instagram/FB ads? We now have PROFITABLE campaigns spending over $500 per day with Social Media Ads (like Facebook). Learn how you can build your online Empire too! Follow Liker is currently available for: Twitter, Instagram, Pinterest and Tumblr. 1 Account License: Recommended if you really need to grow only one account. 5 Accounts License: Recommended for users with only 2 to 5 accounts. Unlimited accounts license: The best deal if you want to grow several accounts at a time. Follow Liker offers different license options according to the amount of accounts you would like to grow. 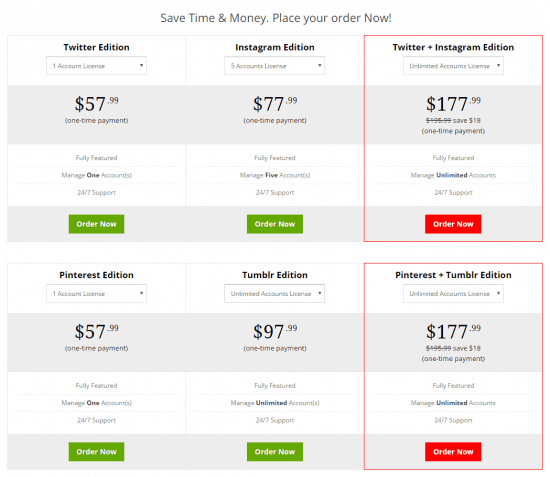 It also offers packages of two social networks for a cheaper price. Followliker is not a membership service, it charges a one time payment and your license, and no matter which type of license you choose it includes 24/7 support. It’s worth mentioning that any of the Followliker licenses is worth it due to all the time and work you avoid when you automate your social media accounts. Even the 1 Account License is worth it, but it is definitively a smarter choice to get the Unlimited Accounts License for your future projects. This software definitively saves you money and time by automating all kind on social media tasks. To install Follow liker you first need to choose the type of license for your social media account. Choose your Follow liker License and after you order it, you’ll receive an email with your license details (username and password) and a link to download the software. Keep it for later. Second, you’ll need a Virtual private server Cloud (VPS Cloud) which you can get for a fair price here. Notice you can only install one license per system, that means you can only have Follow liker on one computer at a time. We recommend the OVH “VPS Cloud 1” for Windows which is fair enough for growing several accounts at a time for $13.99 USD. As we installed it on a Mac OS X we used Microsoft Remote Desktop, which you can find it directly on the App Store and install it from there. Install it, open it and then click on “New“. It will ask your VPS Access Details and it will ask you to set a password for the admin session. 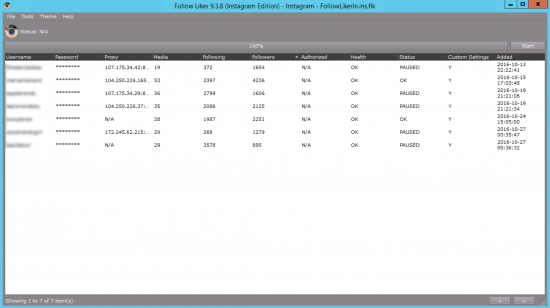 Once inside your VPS it’s time to install Followliker. 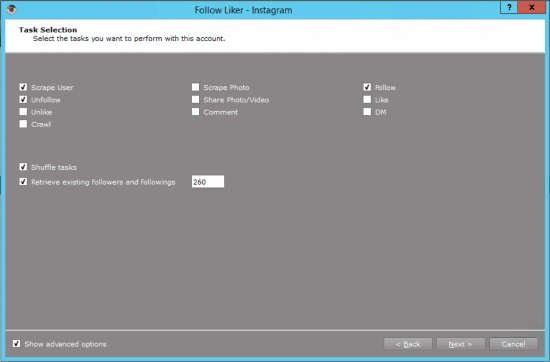 Open your email and download the Followliker software on your VPS. Run the Software and install it with your license details. Once it is installed, open it and the first thing you need to do is create a new project. Select the “File” menu and click on “New Project“. 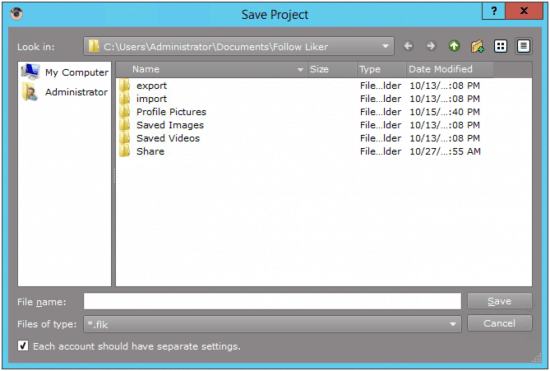 Name it and before saving it, notice that if you want all the accounts in the new project to use different settings and values, check the “Each account should have separate settings.” box at the bottom. We definitely recommend doing this overall if your accounts belong to different niches. You are ready to add your first account to the program. If you want to grow several accounts this requires numerous proxies to support the functions of multiple accounts in order to prevent it from getting blocked or banned. We strongly recommend using dedicated proxies to keep your accounts safe. It is safe to use one proxy per account and you must renew your proxies on Followliker when expired. At this point, we strongly recommend studying the Followliker User Guide. You can find a link to it in the email you received from Followliker and you can also find it directly on the “Help” menu located on the top menu bar. It is a complete guide that explains everything and you’ll surely find it very useful to understand the meaning of unfamiliar terms and functions. Now you are ready to add your first account and customize the automated tasks to start growing it. Right Click on the white area and select “New“. – Username: Type letters only. – Proxy: Here is where you paste your proxy for each account. This is optional overall if you are growing one account. One important advise is that every time you open the “Wizard” to make changes you must stop all Followliker activity first. To do this, find the “Stop” button at the top right. At this point, there is no activity yet and the button shows “Start“. Keep it like this until you end the “Wizard” customization. When finish, click on “Start” to begin with the automation. By the way, there’s no need to stop the activity only to view settings on the “Wizard“. When you open the Wizard you’ll be shown the first window that allows you to customize all the automated tasks for that particular account. This is when you remember all the terms and functions mentioned on the Followliker User Guide, which helps you to understand each social media task. To Follow People: If you check the “Follow” box it automatically checks the “Scrape User” box. To Like or Comment a Photo: If you check the “Like” or “Comment” box it automatically checks the “Scrape Photo” box. Follow People to encourage them to follow you back. You can set the number of people followed per day. A healthy number of follows per day is 500. It is recommended to post every day when you automate followings, otherwise, you can experience temporal blocks. Temporal blocks depend on several factors and it happens mostly on new accounts, accounts created days or months before.With accounts created years before you won’t experience temporary blocks often. The key is to always keep posting daily content and to follow a reasonable amount of people per day to make it look natural. You can check if you account is blocked by trying to follow people manually, if it unfollows people right after you followed them it means your account is temporarily blocked. To unblock it you just need to pause the followings and wait until it lets you follow people again. It is matter of one or two days, sometimes less and sometimes more, it is different in each account. But it is important to keep posting while you wait. If your account is blocked often even if you post, you need to follow fewer people per day. If you Follow people you’ll eventually need to “Unfollow” them because there is a limit of 7,500 people you can follow on Instagram. If you reach this limit, you won’t be able to follow more people. Check the “Shuffle tasks” box if you want the automated tasks to be randomized, this way your account activity is more natural. The “Retrieve existing followers and followings” option comes with a default number. Followliker recommends to leave it like this in the User Guide. Remember to always check the “Show advanced options” box at the bottom left. It will show all the settings you need to customize. Depending on which tasks you choose at this point are the windows shown next. We recommend to start with a pair of tasks at the beginning. e.g. Follow/Unfollow. If you’re ready, click on “Next“. The following window shows you a menu of results. If you click on each one, it will show you a list of the recent result of each task. You can see the list of your followers bu clicking on the “Followers” button. As you can see, you can follow targeted people depending on your preferences. It is up to you to decide which is the best way to find the followers you want to follow, and then a percentage of this followers will follow you back. The number of followers you get depends on different aspects: niche, location, content quality, etc. This software is about to test a lot, so don’t blame it if you don’t get the desired results at first. You can always improve the way you manage your account and if you take smart decisions your account will grow more. When you are done, click “Next“. You’ll be shown the “Follow User Settings” window. Here you manage the limit of follows that your account does per day and other very specific settings. We recommend to test with low numbers at first, this way you account starts little by little. The default numbers are fine to start. Remember that you must unfollow those users eventually. The next window will show you the “Unfollow User Settings“. Here you manage the days the program waits until it unfollows those users. 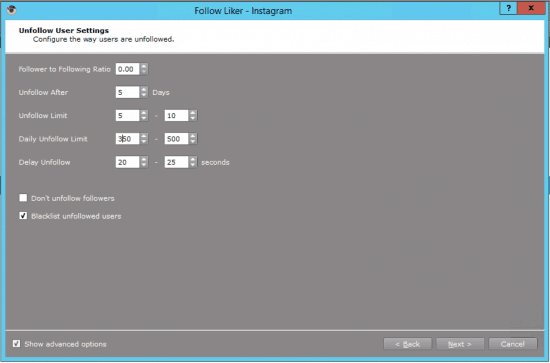 You also manage the number of users to unfollow, which is recommended to be a similar number of the users followed. 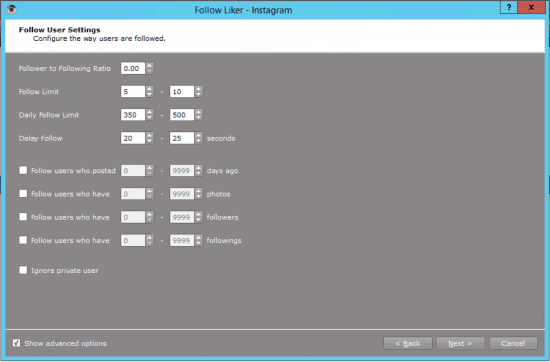 It is also better to check the “Blacklist unfollowed users“, this way the program always follow new users. When you are done, click “Next“. You’ll be shown the last window that allows to schedule the automation activity by day and time. If you want to make it look more natural you can uncheck the weekend days and set an hour range. When you’re done, click on “Finish“. You’ll be shown again the dashboard and here is when you “Start” the activity with the button at the top right. When you click “Start” the software will initially attempt to log in your account with the username and password you provided when you added your account. At the top, you’ll find the “Status” bar, which will show you the activity done once you start the automation. As mentioned before, on new accounts is better to add some pictures before using Followliker in your account. Set up a nice profile picture and a good description in order to make it look natural. Remember that the main goal of using Followliker is to grow your account little by little in order to create a great account over the time, for this reason you must post great content. This way, your account will be more appealing and you’ll increase your follow back rate. Statistics: This shows you a table of results of all the type of tasks at a glance of one particular account. Activity Log: This window shows you every single task the software does. Since you start automating until you pause, resume or stop the activity. Pause/Resume: This is helpful when you want to stop the activity of one particular account and keep the automation of other accounts. “Resume” will put the account on automation again. Now it’s time to test Follow liker on your account. Remember that it is likely to be blocked temporary using this kind of software, even if you are posting daily. It is recommended to post more than once a day to avoid this. 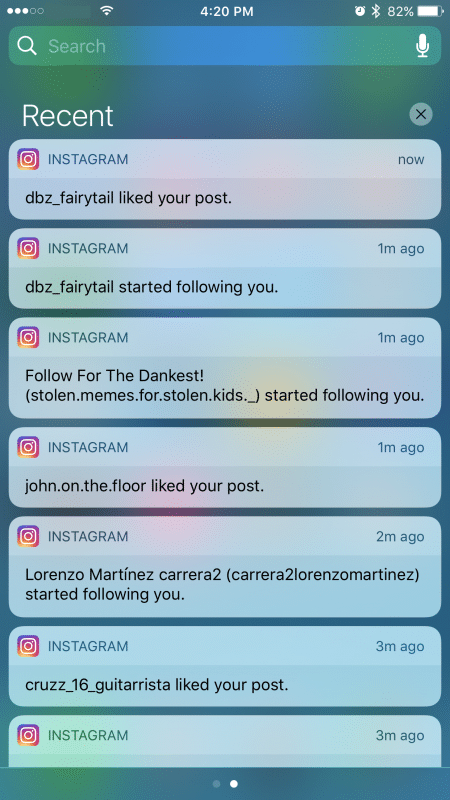 Also, keep in mind that FollowLiker is intended to be a safe software that allows you to grow your accounts continuously getting a low number of followers daily. You won’t get a huge amount of followers in one day, and you better avoid to buy “real followers“, otherwise your account will be permanently banned by Instagram. Like other posts to encourage them to visit your profile and like your stuff too, and even follow you. You can also Unlike the posts you’ve already liked. For these two tasks you can set the number of likes/unlikes per day and the number of days to wait before attempting to unlike those posts. Comment on others posts to start a conversation and encourage them to visit your profile and follow you. You can set a list of different comments to post randomly in pictures of others that have been published with specific hashtags in the caption. As you can see, Followliker is a great multitasking tool that can boost your social media account growth used correctly. Always remember to analyze your results and keep testing to scale your growth. I hope you’ve enjoyed this Followliker Review as much as we enjoy growing our instagram accounts! I bought FL and installed it today. How can I get more likes on my pictures, not only followers. Is it possible? Indirectly, by growing your followers you’ll get more likes and engagement in your posts, but there’s no function to get likes directly with followliker. I have the license ,How can I do to like my photos? Do you want to like your own photos only? 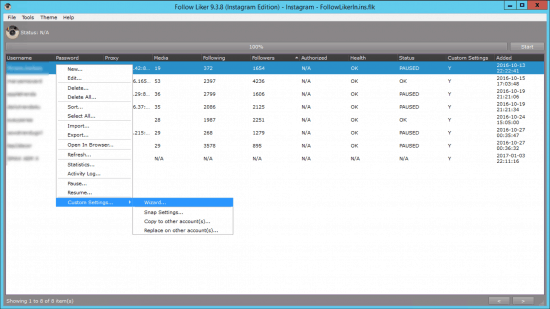 We purchased FollowLiker and the customer service was very poor, the software did not work-took several rounds of uninstalling and reinstalling for it to partially function. Please search more reviews to make an informed decision about this product. The software was really bad due to not functioning properly and resulted in us loosing HUNDREDS of followers across our business accounts. In our experience, the customer service was the deal breaker. How can you trust a product the company didn’t seem to care about? Please look further into this option before making a decision. In our opinion, there are much better options out there with much better customer service. We had to contact support 2 times in the past and you’re right, they don’t care much, so we solved our problems by searching the info in forums instead. We still use Followliker up to this day (2+ years) without problems (our worse fear is updating it as sometimes it loses some of its settings). Followliker is definitely not for the average non tech savvy costumer.. Which services have you tried that you could recommend besides Followliker? we would love to give them a test. Hellp, thanks for the reply. Can I run 3 accounts using the same VPS and FollowLiker? I read somewhere that it is fine to run 2-3 accounts. If its more than that then you need a proxy. Is that true? How many accounts can you run per IP? Yes, the VPS is where you install your followliker license so it runs 24/7 every day and it can handle many accounts. If you just want to run it for one simple account or you don’t mind having your computer turned on and working every day you can do it in your own computer without the VPS. Yes, we like to update the settings every once in a while to get the performance back. I don’t use FB for that. But you can contact me on Twitter. Tell me which is the cheapest followliker ? There are no free followliker websites…. Any recommendation on proxy Services to use? Hello, Thanks for this great write up. I have a confusion, I have installed this follow liker on my iMac and have added my IG account but still working around it to know how it works. I haven’t installed the Virtual private server Cloud (VPS Cloud). Do I need this VPS just for one IG account? What it does? For just 1 account you can do it in your computer although it will need to be turned on 24 ours, 7 days per week (thus we prefer using a VPS). It is so difficult to actively post for your followers when you have tons of work to do. I used to become so irritated by watching my followers decreasing day by day due to my inconsistency. Then my friend told me about Wizboost[dot]com explaining as the best Instagram automation tool one can have. So I tried it once for the very first time. This tool can help me in scheduling future posts that I want be posted from my account on my desired time. This tool made it so easy for me as now I can do whatever I need to do without thinking of anything related to instagram because Wizboost has got my back for it. Quick question, once I scale up my follow liker for IG edition and choosing the unlimited plan, do I also need to scale up the OVH VS Cloud plan? What do you recommend for the best OVH VS Cloud plan if it needs to be scaled up? It depends on how many accounts you have connected there. For example, we used the basic VPS plan for OVH and it handled well until like 20 accounts. You’re hurting your reputation by recommending such terrible software. It’s not trash. Up to this day we use it to grow dozens of accounts every day. Couldn’t be happier with it. It’s one of the best investments we’ve made in the last years and it has helped a lot to grow our reputation as well. IF you’re using proxies, how can you assign a proxy to each account? Since IG checks the IP of the account I need to make sure I’ve verified the IG account on the specific proxy. At the beginning a few minutes per day. After you get to know it probably just like 30 minutes per week unless you’re adding many new accounts all the time. Can you help me here, I’ve succesfully grown my account from 500 followers and being not too active on the account to over 4400 followers! It works great! Worth the buy and for my further businesses! I am wondering what you mean with the proxies. Is that a way to hide your IP address? Or is it something else? Would you have any tips/advise for me to keep using this tool safely and descretely ? Please email me if you can! If you only have 1 account you don’t need proxies. Proxies are for when you have multiple (dozens) of accounts so you need to use different IPs for each one. You can use 2-3 accounts easily with just 1 IP without problems. So if I am running just 3 accounts, I don’t need a proxy? Or I do? Raelly useful article, thanks ! If I’m planning to use the FL just for my account do I still need the VPS? You don’t need it but will you be able to leave your computer turned on 24/7? What can I do if I’m using FLC method on my own followers and I want maximum 2 like/follower’s posts/day? I think isn’t to effective if I like 20 photos/follower’s posts. I am helping some account on Instagram to growing. One of my clients wants to have more followers and better engagement, so I want to use the like function on his account to like his own followers. I am using 3 account/proxy. We have to use a new projekt to like his followers. Can we use the new project safely on the same proxy in this case, or do we have to put it on another proxy? Better safe than sorry. Put it in another proxy. You don’t want to risk your clients accounts. How can I join the private facebook group? 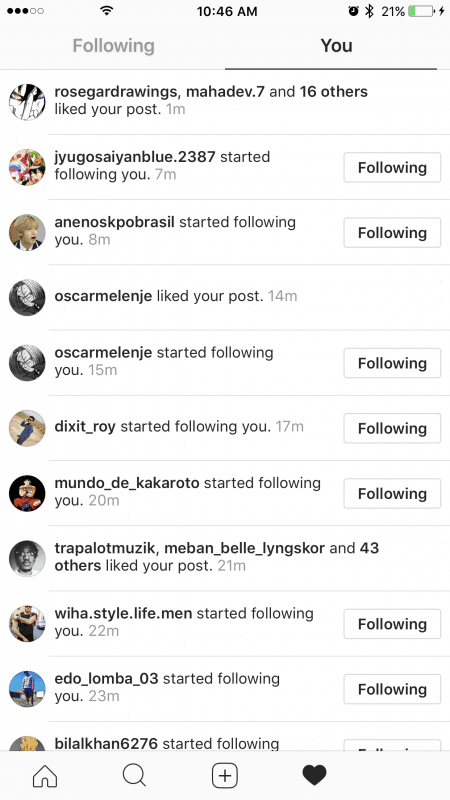 I have recently purchased the instagram version of followliker, and want to utilize the group for tips/help/advice. The group is linked at the beginning of the article but that’s for people who are interested in hiring our services, not for people using followliker. There are other FB groups about that though. Just search for them in FB. I can’t sending direct message with one of my clients account. The account is very young, younger than 2 months. I have using low intensity the follows and unfollows, and beginned the direct message sending 6-15/day after that I increased that 11-21, 11-30, day after day. My client was impatient and she send the messages manually. Today I told she, be patient, because lots of manually message can disorient things. So she will not send direct message on this week for new followers manually. The automatic DM sending don’t working now. We use 3 type of message. I tried another proxy or shorter messages unsuccesfully. On another account direct message sending function is working. We actually don’t use a lot of messages but the problem here is the account is very young. We usually do this with 1 year old accounts or older. I’d say be patient and keep growing the account and posting every day for 1 month and then start doing messages. I am keen on knowing if it is possible to gain 4k followers in 30 days , and also if you advise this for a new account. also in this trial period i put two of buisness accounts on followerliker with diffrent settings (very high tweaked though) and now both accounts blocked, how long does is it take to unblock? i really need your assistance in this guys, my investor wants answers in why my methods are not working in relation to packages we offer. When you’re using new accounts you need to use very light settings. We don’t use the twitter edition but for Instagram we only do good volume when the accounts are at least 1 year old and post every day. My advice is don’t offer services for something you don’t know how to use yet. Learn how to use it with your own accounts, learn the ropes and after a few months when you feel comfortable you could sell your services. I’m not a tech person. 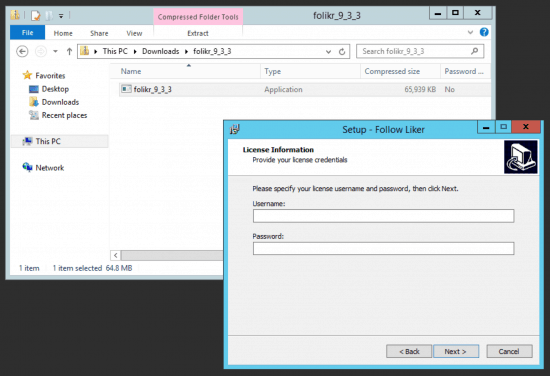 Can you send me detailed instructions to install FL on my VPS? I purchased a VPS from the location you stated. I don’t know what kind of server to configure? 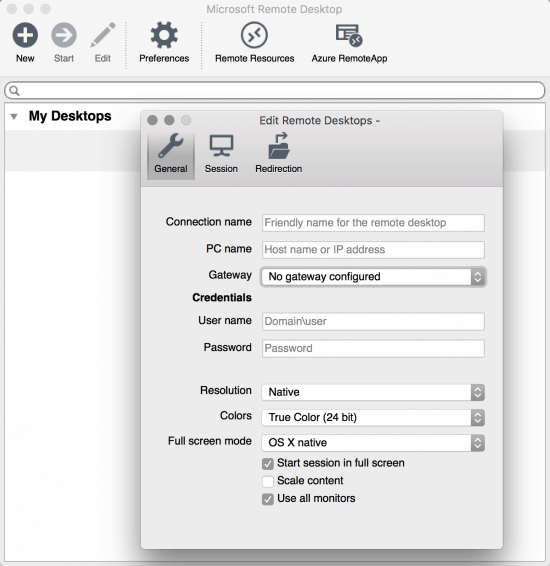 Also how do I change the configuration to allow for remote connection if use Microsoft Remote Desktop from my iMac? I don’t have step by step instructions for that. Try contact followliker support so yo get help or search in forums for VPS instructions. You can reach us and see more about it in this FB group. I got a question : i want to Follow people and like at the Same Time Those photos, how Can i Do this. Can anyone Tell me that step by step Pls? There you’ll find everything you need to know about the software. I’m helping for some Instagram accounts to growing. There are some account, where the growing is stabile (60-150 new followers/day). There are some accounts where are lots of problem. I have to stop again and again the program. I think I don’t use to much intensity. 1. One of these accounts I started using the program in September. The account is active from Februar and it was really active with lots of post. I started with conservative settings: 300-400 following/day, but it isn’t working. I had to stop the program, because the following isn’t working. I stopped the „like” function, but I using DM and „Share photo/video” 5 times/week in the same project…. Yesterday I changed the settings, I use 200-250 followings/day. I just read today about the monthly fee, so I didn’t pay that yet. Can this be related to the problem? Can this increase the chance of temporary bans? I don’t think it’s related to the monthly fee. We haven’t seen anybody paying for it yet and the tool still works. I’m not sure what’s going to happen with the payment though. As for the issues in your accounts, it depends on how old the account is (1 year+ is much better) and also how much you post on it every single day. You should at least post once per day in all the accounts that are growing to avoid problems of being blocked or ghost banned by Instagram. I’m looking for the solution, but I don’t think this is the problem. I have accounts when I posting 2-3 times/week, (I know it isn’t the best) but the program is working well and I have more and more followers. One of these accounts live from April. And there are lots of new post, which account I got almost 3000 followers on first 18 days. Maybe other proxy? Or other solution? *There is an account where I got 3000 followers on the first 18 days, and there is a new post almost every day. But since 2 months I have lots of issues with this account. You can try using a new proxy. How many accounts do you have per proxy BTW? I am using maximum 3 accounts/proxy. Ok, I will try use new proxys. I was read somewhere that Instagram is suspicious of the proxys. What do you think if I try to more VPS and 3 accounts/VPS? You might be able to do up to 4-5 per vPS without proxies but if something bad happens you’ll need to get a new VPS and install everything again, whereas if you use proxies you just switch them for the new ones in the Followliker settings. i live in morocco, i started using followliker yesterday and i use a VPS in USA. and today instagram blocked me, my dealy follow limit is only 25-50.
do you think the fact that i post from morocco and followliker is working in VPS in USA is the problem. if yes what can i do ? This happens from time to time but you can just unblock your account and keep growing it. The more times you post per day this will happen less. i post my illustrations so i can only post 1 per day. you sure it’s not related to the fact that i post from morocco and i use a VPS in usa ? Joanna, if your account was created many years ago, I think you shouldn’t have a problem to follow 1000 – 1200 people per day. Nodoby knows the number of people you should be following or liking to stay safe, but I think more than 1000 likes would be too much. You get more followers by following people than when you like others pictures, so you better follow more people. Also, people follow you if they find your content interesting for them, try to improve your pictures to get more followers. Can you still do manual likes and comments with this program running? We’re not sure what’s going to happen but at least they’re not closing like other tools. We don’t care about the $5.99 membership per month but I can see it being difficult for some people who just got started. Let’s wait and see what happens next month. Adding a monthly fee “to receive support and updates” on top of a product sold with lifetime support and updates is FRAUD. They’re scammers. It’s not a matter of money, but a matter of principle. I agree. This is not how they should handle it. I can not get the settings to work for me in the follow to unfollow. in the case FL will be shutdown by IG will they refund you your money? I don’t think they’re getting shut down though. They’re different to the other solutions as they’re not using the API or connecting directly to Instagram. I guess that’s why many others went down in the last months and Followliker is still alive. They just coded everything manually. It’s a totally independent solution and it doesn’t go through any official API so it’s safer. Thanks for the post, but pls it there not any free software someone can use as a beginner in blogging? 1, could we install FL on google cloud, drive or dropbox so that to run 24/7? 2, at the beginning we should follow small amount of ppl to be safe, so what if the account increase to 1000, 5000 or 10000? what is the max follow per day is the safe way if the account size increase to these extent? 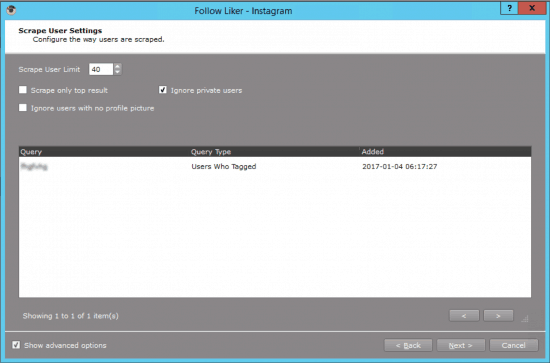 3, do you suggest each ig account backed with one proxy or 3 ig account backed with one proxy? Does anyone have a proxy service they recommend? Thanks. Can my mobile Android tablet run Followliker ? I don’t think so, but the idea is to install it in a VPS and you can access via remote desktop from your tablet. Helo, I’m fiani from indonesia. i want to buy followliker, but I don’t know how to use this software. and I don’t know about how VPS, and proxy work. I hear that one proxy can use for 5 account instrgam , is it right? You can use one proxy per 5 accounts, I’ve done it before and nothing happened, but it is always better to use one proxy per account in order to keep safe each account. I have 15+ accounts of my clients. I also have 3-4 accounts personally. i was operating them from my 3 mobile phones i didn’t get any ban or something likes. is it necessary to use them with proxies on follow liker.? Really love this software. I considered buying it for several months, Actually I added many accounts in twitter follower but i dont know its working fine or not some times showing successful running sometimes no show for the accounts. I can add the proxy for some accounts that accounts when i do the right click on proxy twitter account open new browser that account is not opened so what i will do the settings for that.Lastly when i add the more twitter accounts each account has to stopped and again i start it? each proxy how many accounts added? What are your settings to get 500 new followers per day? I use Followliker for one account and only get about 30 follows/day. I am only following and unfollowing. The more people you follow the more people follow you back, but if you don’t post daily or even twice a day, your account will be constantly blocked temporarily. With some accounts, I can follow 1500 accounts per day, but I have to post 2 or 3 times a day. Following more than 1000 accounts will definitely increase the follow-backs. Try it and see if you get blocked often. I recommend you to unfollow people after 5-7 days, 2 days is a short period of time. Hi! I wanted to buy FollowLiker, but now when recently Instagress has been closed down, and yesterday the same happened to MassPlanner, I just wonder if the same will happen to FollowLiker. I simply wouldn’t like to spend the money and get a message in a few weeks that FollowLiker is discontinued. Do you have any clue how the situation with FollowLiker is right now? You’re right. Instagram took down 4 services yesterday, and most people fear Followliker will be next. I’d wait a couple weeks to see if that happens before buying to be honest. Servando, thank you for your reply. I’ll wait for a while then. Really love this software. I considered buying it for several months, but wasn’t sure I wanted to pay for free social media. But then I decided, whats the point in having Instagram, if I don’t have a successful Instagram? I am using Followliker, have it set to the conservative default settings, and am getting around 50 new followers a day, using mostly “follow people with this hashtag” and “follow this users followers”. It’s nice because I can set it and forget. But then later I can change my settings. Also you don’t need to buy the VPS. I run it on my PC and there is no monthly cost unlike with all the competitors. That to me is FL best feature. I could shoot for 100-200 new followers a day, but it’s not worth the risk getting banned, for a single account. If I was playing with multiple accounts I’d be more aggressive. Hi Tom. Good to hear it’s working for you. 50 is a conservative number but it’s good if you’re starting. Aged accounts have more chance to follow more people so later you will be able to do it. As for the PC thing, yeah, you can do that as well, especially if you’re on a budget and you don’t care leaving your PC working all day/night. Later if you want to setup a VPS when you have a better ROI just follow this guide. 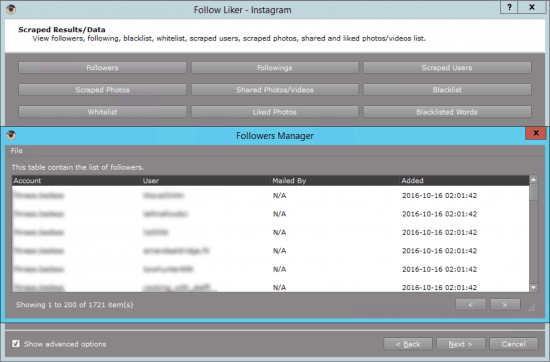 I have used Followliker for more than a year and after that I use Massplanner for long period. I admit that both software are similar and excellent but it depened of the people who use them. For longer use I think that FollowLiker is cheaper because you can buy Unlimited Accounts License for 97$ or full Edition for 391$ and Massplanner you need to pay 10$ every month + if you want more option you need to buy extra modules. For beginners I suggest Massplanner because has a little bit more beautiful interface and you don’t need to give much money. Also I suggest if you put your fresh social account on any of these software before you start to use it to warm up with a little amount of followers or likes. The easiest way is to buy it. If you follow this warm-up I guaranteed you that your social accounts will never be banned. Hope my comment will help someone. For the guys who are still considering MassPlanner, they just got shut down by Instagram/Facebook. Not sure what will happen with Followliker but instagress also got shut down a month ago so I’m curious about it. From what I’ve seen so far, Instagram really doesn’t like these automated tools at all, so I think anything that comes along that includes Instagram followers/posts is going to have a strong possibility of being shut down within its first year. Ye,s they’re not fans of this and they recently shut down a couple of companies that were similar to Followliker. Followliker is more difficult to ban though, but i would proceed carefully. Thanks for this review. I will like to buy follow liker twitter unlimited. How many accounts will your recommended VPS of $7.99 be able to run. Hi, I use the VPS mentioned in the post and I can run several accounts at the same time. I’ve used several accounts, from one to 10 without a problem. Hi, I’ve had follow liker for about a week now, however I have found that unless I update my hash tags daily, it doesn’t work. I haven’t changed settings since Saturday, and looking at my statistics, follow liker has only liked 45 photos since and no follows at all. Would you say this is in the settings, or a technical issue?? Prior to purchasing follow liker I had 1,420 followers and have only gained 30 followers since, and also seems there is more action with following users rather than gaining new followers. It seems that you have to test to find out what works better for your account. First, if you have a daily follow limit from 200 to 500, followliker should have been following a number between this range. You can check how many users it follows in the statistics section. Right-click on the account name and click on stats. If followliker is not following people, you will find it there. The main way to get followers with followliker is to follow people expecting them to follow you back. If followliker is not following users is mainly for two reasons: You account is temporarily blocked(which you can check trying to follow someone manually and if it doesn’t allow you, it means it´s blocked) or that the account you set to copy the followers is very small. 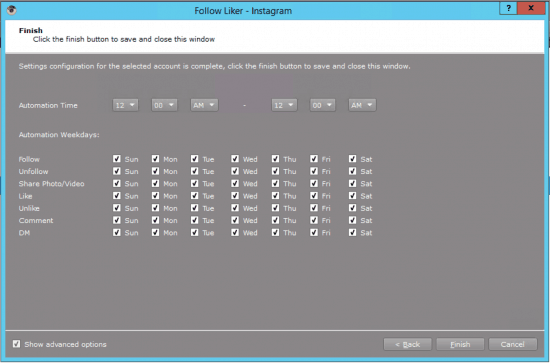 If your account is blocked, simply pause followliker for 2 or 3 days and then restart it. Remember you must post at least once a day, but I’ve found that it´s better to post twice or even 3 times a day in order to avoid being blocked so often. Also, lower the daily like limit, use a similar number in both. On average, an account should gain at least 80-100 followers per day with followliker, so you just need to modify the settings and learn how to use it to make it work with your account. Check this and tell me what is happening, I’ll be around if you need more help! I honestly have to warn about Follow Liker. I tried it and it’s absolute garbage. I changed to Mass Planner in no time! Save yourself the nerves and NEVER buy this. With MP everything is smooth sailing, it’s a software with excellent support, it’s very easy to use and works great. Follow Liker’s support is horrible. They answer very late, give you zero information and are really unfriendly and not helping at all. The software failed so many times and sometimes stopped working for a week or two because of a problem that would have been one click in Mass Planner. But hey at least in Follow Liker you can decide if you want the layout to be blue, red or purple ;D It’s so ridiculous, I could write such a long review about all the laughable parts of my Follow Liker fail but I’m just making it short and telling everyone who reads this: Don’t buy it, just don’t. Worst software, sassiest support, absolute failure. Followliker is definitely not for people who are not tech-savvy. We actually don’t really have problems with them, but some people wouldn’t even be able to install it cause they have no idea how to setup a VPS. That’s why we wrote this guide. Initially the learning curve was “medium-hard” but after a couple months it’s all easy to do for us. There are a lot of tools out there and most of them have good interfaces and everything but I agree with you that MassPlanner is quite good (price is higher). UPDATE: For the guys who are still considering MassPlanner, they just got shut down by Instagram/Facebook. Not sure what will happen with Followliker but instagress also got shut down a month ago so I’m curious about it. Thanks for the warning, Laura. I was at Udemy.com earlier today, and watched a preview of a course “Instagram Marketing Bot: Automate Your Account Effortlessly”, and am watching a preview for this course and it mentions “FollowLiker”. So, before buying this $10 video tutorial course, I search “FollowLiker” and find their website. The website looks cheap and the reviews appear to be fake. No money-back guarantee. No satisfaction guarantee. This review is obviously a review to earn affiliate income. Please don’t comment without knowing. This review is for affiliate income? Yeah? Please let me know were you find the followliker affiliate links in this review. I don’t even know if they have an official affiliate program but last time I checked (last year), they didn’t. As simple and cheap as you see their website, their software works quite well. The software has an ugly UI too, and it’s not for non tech-savvy people (Laura, for example), but it works and does it’s job which is the most important part of the strategy. Mass planner is great too, and they have a great UI but a higher price. So it’s up to you to choose what fits your budget. Also, I removed the 3 backlinks you left in your comment which looked more like SPAM than anything else Kris. For the guys who are still considering MassPlanner, they just got shut down by Instagram/Facebook. Not sure what will happen with Followliker but instagress also got shut down a month ago so I’m curious about it. I want to test your product for a limited time before I buy it. Please let me know if that’s possible. It’s not my product and they don’t seem to have a free trial as far as I know. Thanks for good social media blog. when i have so start followliker? and do i need vps or without? please give me some tips to grow my accounts? You don’t need a VPS if you want to try it first, but if you really want to automate your accounts you should have a VPS later. Also, if you’re going to follow and unfollow people every day you should at least post something every day to make it look natural. Interesting. Thanks for sharing this tool! I wanna know how much is it’s membership? does it have trial version that I can try out? All the prices are shown and linked in this tutorial. It’s not a membership, but a one time payment. Aha. I might have missed it. Thanks Servando! I actually have this and it works but I didnt think about using the VPS. Does that allow it to run all day everyday? One reason I stopped using it is I didnt like keeping my PC on all day. I take it that I wouldnt be able to use a VPS now since I already installed and ran it on my pc? Should I email Follow Liker to see if they’ll let me? Exactly, the VPS works for you 24/7 without having to use your computer. Email their support and tell them you want to migrate it to a new server. Thank you! Good to know. Would you suggest I pay for proxies for one account per social media account? I got a tumblr, instagram, and twitter license but only one account for each. Thanks again for this article. Im motivated to grow my audience some more. Yes, you can use the same proxies in different social media at the same time. Remember to check your account activity every day. You’ll learn which of your accounts grow faster and why. So my last question. Cant I run Follower Liker without proxies? If im using a VPS with one account, and not multiple accounts, wouldnt it be okay? Proxies are used to hide your IP from my understanding, Im really only using to build a following for my art and youtube. I live in germany and want to grow audience in germany, should I look for a VPS in germany or is it equal ? It doesn’t matter. We have our VPS in USA and we’re growing fans from many countries around the globe. Hi maryam i would like to know how to avoid getting banned on my instagram account i just created 2 account at this week ? Omar, it is important to post daily at least 2 times a day while using Followliker for new accounts. I used Follow Liker for about 6 months last year. I was conservative with setting my likes & follows just so it looked realistic & I did not set off any alarm bells with Instagram. I got tonnes of new followers but not a lot of engagement on my posts & for me i need engagement. Hello Abi. thanks for your feedback. Did you try any specific niche or you went broad on your audiences? do you know how I can have Followliker like a group of users first picture? I have a list of users that I want the program to like just their first picture, but can’t seem how to do it. Thanks! Great blog btw! I’m not sure about this. Let me check and ask Maryam to see if she can tell you how to do it. Abi, some niches are more likely to have more engagement than others. It’s the nature of some niches to be more popular than others. Another important thing is that the content you post should be great in order to receive likes and comments. Also, the more you grow your account the more engagement you receive, and it takes time to have thousands of real followers. Don’t forget that Followliker is a tool that provides sustainable growth over time. If you are looking for engagement, Followliker is a great tool among others that you can use at the same time to grow your account correctly.